The Coppell girls soccer team warms up for its game against Paschal on Tuesday at CHS9 Lesley Field. 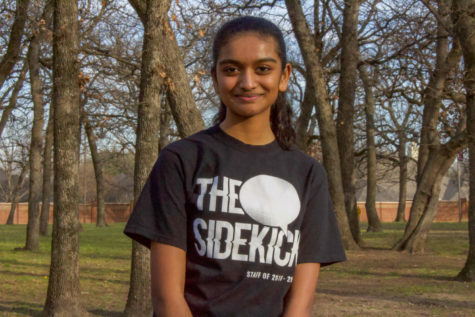 Coppell would go on to win the game, 5-0, after goals from freshman forward Michelle Pal (2), sophomore midfielder Maya Ozymy, sophomore forward Jocelyn Alonzo and freshman midfielder Bailey Peek. Some teams may find their first season defeat to be crushing, allowing that loss to be a hindrance to their future performances. The Coppell girls soccer team is not one of those teams. After a second place finish in the Midlothian Frostbite Tournament, Coppell regained its stride to defeat the Paschal Lady Panthers, 5-0, at CHS9 Lesley Field on Tuesday evening. The first goal came from freshman forward Michelle Pak, who also scored the fourth goal of the game later that night. The first half of the game was mainly dominated by the Cowgirls offence. 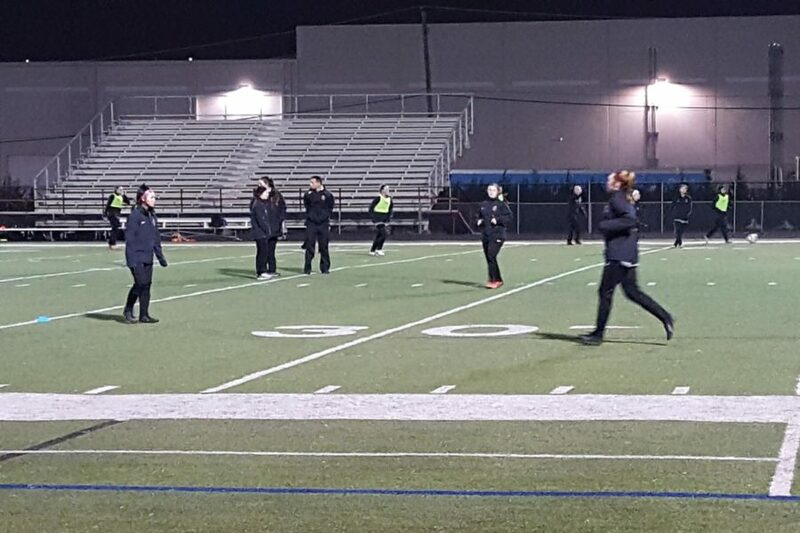 By utilizing the cohesive abilities of the players, Coppell was able to control the pace of the game, pushing fast play and creating multiple scoring opportunities. They held possession of the ball for the majority of the 40 minutes and through the skills of Pak, sophomore midfielder Maya Ozymy and sophomore forward Jocelyn Alonzo, scored four goals. The end of the first half was a series of quick actions, giving the Cowgirls a chance to increase their lead 5-0. With six seconds remaining, the ball was kicked out of bounds close to Paschal’s net. Without hesitation or pause, it was launched back in bounds, in the air. The clock buzzed just as the ball ricocheted off a Coppell player neatly into the back of the net. Coppell was not given the goal. The second half of the game allowed for that 5-0 score to become reality as freshman midfielder Bailey Peak kicked a high ball close to the crossbar. Though this half was more evenly matched in terms of possession, the Cowgirls offence and defense worked together to shut out the Lady Panthers. The Cowgirls will travel to Georgetown tomorrow through Saturday for the Lady Governor’s Cup. They will play Clear Springs on Thursday, Cinco Ranch on Friday and San Antonio Johnson on Saturday. Next week, they kick off district play at Irving MacArthur at 7:30 p.m. on Tuesday. Follow @SidekickSports for more live coverage.